The Jeep® brand is celebrating a major milestone today as its Facebook page has reached over 2 million fans. The brand is the first domestic automotive brand to hit the 2 million mark on Facebook, outpacing the next closest domestic brand by approximately 700,000 fans. The Jeep brand Facebook can be viewed at www.Facebook.com\Jeep. The Jeep vehicle lineup includes Compass, Grand Cherokee, Liberty, Patriot, Wrangler and Wrangler Unlimited. To meet consumer demand around the world, all Jeep models are sold outside North America – and all are available in right-hand drive versions and with gasoline and diesel powertrain options. Chrysler Group LLC sells and services vehicles in approximately 120 countries around the world. When it comes to taking care of your car, keeping to a regular maintenance schedule can be like putting money in the bank. 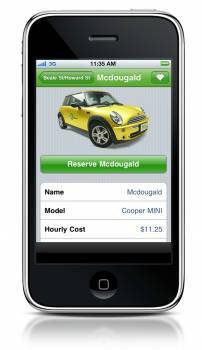 Zipcar, Inc. (Nasdaq: ZIP), the world’s leading automobile sharing network, these days announced the launch of its extremely anticipated Android™ mobile application as a public beta test.